Restoration of Primorska to the Motherland Day, that annually falls on September 15, is a very important memorial day in the history of Slovenia. This is an official public holiday, however, it's a working day. Primorska (or the Slovene Littoral) is one of the five traditional regions of Slovenia. It forms the western part of Slovenia, bordering with Italy. This is the second most economically developed and prosperous part of Slovenia. The Slovene Littoral was occupied by Italy at the end of World War I. About a quarter of predominantly Slovene ethnic was adjudicated to Italy and annexed in 1920. The Slovene minority lacked protection from Fascist, that came to power in Italy in 1922. The confrontation of Slovens and Italian government lasted till the end of World War II, when Italy surrendered to the Allies. On September 15, 1947 the Paris Peace Treaties were signed and the territory of Primorska fell to Yugoslavia. 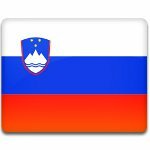 Anniversary of this day is observed in Slovenia as Restoration of Primorska to the Motherland Day.